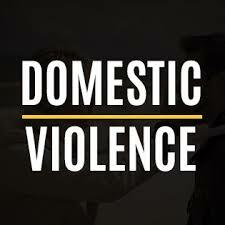 Military Domestic Violence Defense Attorney - Korody Law, P.A. A false or exaggerated allegation of domestic violence against a servicemember can cripple an otherwise outstanding military career. Civilian or military protective orders, criminal investigations, and family advocacy investigations can ensue, and all have consequences even if the allegation is eventually, normally after many months, determined to be false, exaggerated, or unfounded. 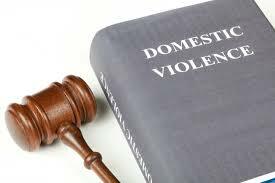 Defending yourself against a domestic violence allegation begins the day the allegation is made. No protective order, whether issued by the military (known as a military protective order or “MPO”) or the state (commonly reviewed to as restraining orders, no contact orders, or injunctions), should be taken lightly. These immediately impact your military career. Aside from the apparent restrictions that impose limits on the freedom to move about, these may have lasting consequences including the ability to own or carry firearms, maintain a security clearance, and reenlist in the military. Many times they become part of the servicemember’s permanent record. In today’s military, commanders issue MPOs based on a bare allegation with no supporting evidence and often without a full understanding of the severe long-term consequences they can have on a servicemember. Do not sit around and wait for the situation to work itself out. You need a legal advocate in your corner, and Mr. Korody fights to have military protective orders lifted. If you live in Duval, Nassau, or St. Johns County in Florida and are served a petition for protection against violence, you likely will have a court date in the near future where a judge will determine whether or not to enter a permanent protective order. Mr. Korody has experience and success in defending against petitions for protection against violence. It’s imperative that you defend against the accusations contained in the petition. Military investigators, normally NCIS, OSI, CID, or CGIS, are trained interrogators and use interrogation techniques to elicit “admissions” in domestic violence cases that are then used against the servicemember either at a court or in the family advocacy program. If you are under investigation, you need to level the battleground – Mr. Korody has the legal skills and experience to ensure that your service and your career are protected. If you are convicted of an offense of domestic violence, whether at a court-martial or in civilian court, your military career is over. All branches of the armed forces have enacted policies that promote the administrative separation for domestic violence convictions. Even if you survive an administrative separation board, the rules prevent reenlistment without a waiver from a flag officer. A guilty finding or plea agreement to charges in the State of Florida has similar consequences. Even outside the military, the Lautenberg Amendment has severe personal liberty consequences. The Amendment bans the shipment, transport, ownership and use of guns or ammunition by individuals convicted of misdemeanor domestic violence, or who are under a restraining (protection) order for domestic abuse. Felons are already prohibited from owner or possessing firearms by federal law. The Lautenberg Amendment has unique implications for military service members since carrying firearms is normally a requirement of service; even the most technical conviction for a domestic violence crime can result in administrative separation from the military or denial of reenlistment. THERE IS NO EXCEPTION IN THE LAUTENBERG AMENDMENT FOR MILITARY PERSONNEL OR LAW ENFORCEMENT OFFICERS. Here is a Marine Corps presentation on the subject. In addition to or in lieu of criminal investigations, a service member may face consequences as a result of an Incident Determination Committee (IDC) behind closed door decision that domestic abuse occurred. A substantiated finding normally comes with mandated counseling and classes. Further, it can impact a service member’s career through fitness reports or evaluations, ability to PCS, and limitations on advancement. More importantly, a substantiated finding at the IDC can lead to administrative separation processing. Contact Korody Law for a consultation.